You'll have seen from a previous post that I picked up some bath bombs from LUSH recently. The first one I tried out was the 'Think Pink' ballistic. This bath bomb is a little smaller than some of the others LUSH sell but for £2.50 I think it's good value. It has a soft vanilla and floral scent and the flower details are a sweet touch. When I dropped it into my bath it immediately started fizzing, turning the water pink, and little confetti hearts came swirling out of it round the bath as the bath bomb disappeared! Admittedly I was a little worried at first as there were loads of them and I thought I'd have to spend hours rinsing them out the bath (I share a uni house with 5 boys - they would not appreciate pink hearts at the bottom of the bath) but after a while they disintegrated - phew! My bath water smelt lovely - without being too overpowering - and made my skin smell nice and feel really soft too. After my bath I felt fresh and relaxed. 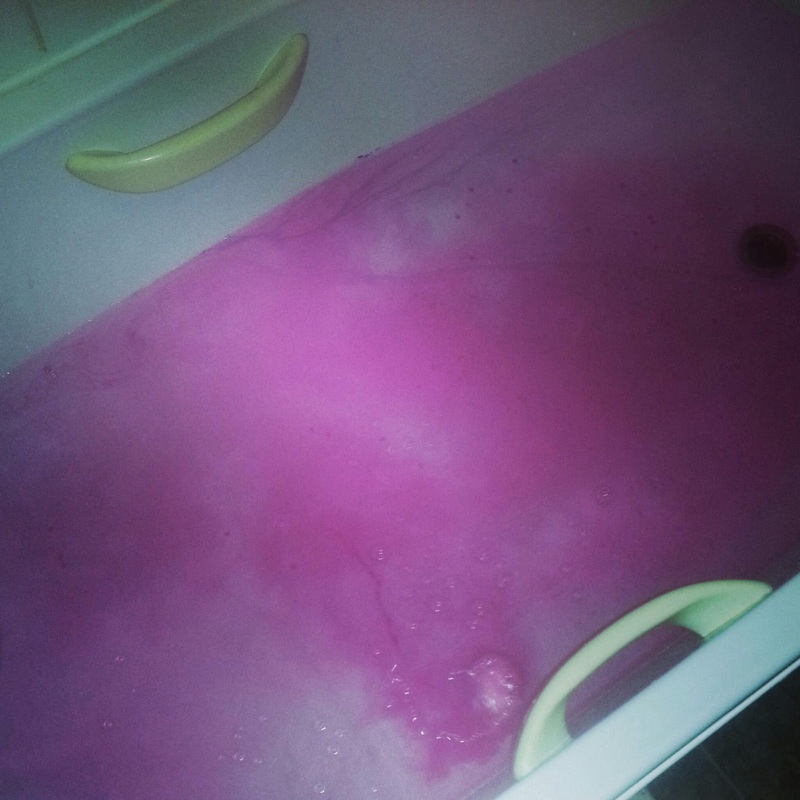 Plus it didn't leave any pink residue and I didn't have to clean the bath out after.